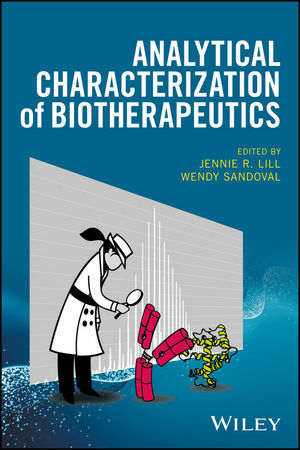 Analytical Characterization of Biotherapeutics covers all current and emerging analytical tools and techniques used for the characterization of therapeutic proteins and antigen reagents. From basic recombinant antigen and antibody characterization, to complex analyses for increasingly complex molecular designs, the book explores the history of the analysis techniques and offers valuable insights into the most important emerging analytical solutions. In addition, it frames critical questions warranting attention in the design and delivery of a therapeutic protein, exposes analytical challenges that may occur when characterizing these molecules, and presents a number of tested solutions. The first single-volume guide of its kind, Analytical Characterization of Biotherapeutics brings together contributions from scientists at the leading edge of biotherapeutics research and manufacturing. Key topics covered in-depth include the structural characterization of recombinant proteins and antibodies, antibody de novo sequencing, characterization of antibody drug conjugates, characterization of bi-specific or other hybrid molecules, characterization of manufacturing host-cell contaminant proteins, analytical tools for biologics molecular assessment, and more. Analytical Characterization of Biotherapeutics is an up-to-date resource for analytical scientists, biologists, and mass spectrometrists involved in the analysis of biomolecules, as well as scientists employed in the pharmaceuticals and biotechnology industries. Graduate students in biology and analytical science, and their instructors will find it to be fascinating and instructive supplementary reading. JENNIE R. LILL, PhD is Director of Proteomics at Genentech, where she is responsible for the management of Genentech's Microchemistry, Proteomics & Lipidomics Department. Dr. Lill has been involved in the experimental design and technological innovation of biological mass spectrometry for more than two decades. WENDY SANDOVAL leads the Applied Proteomics group at Genentech where she is responsible for the management and oversight of native mass spectrometry, antibody characterization, lipidomics and the core mass spectrometry group.